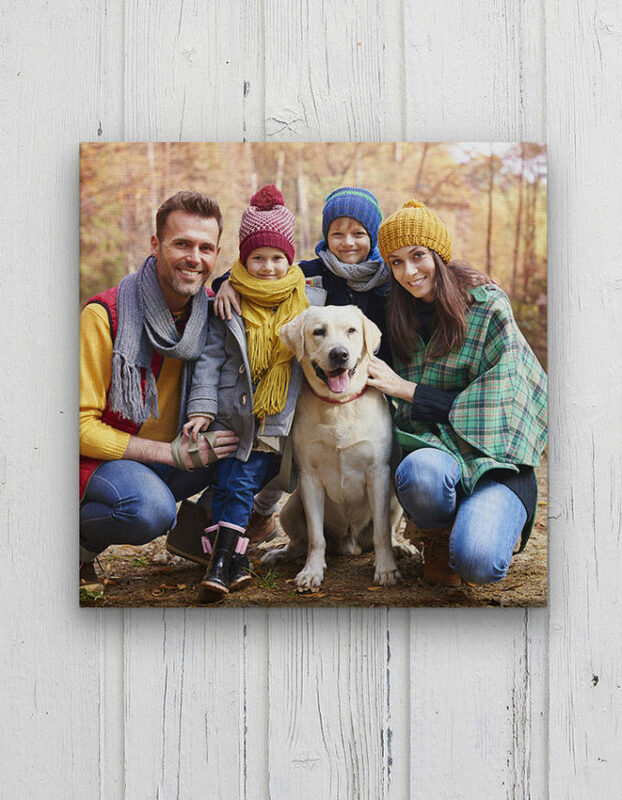 Create your very own masterpiece on our museum grade custom canvas. We only use the best quality canvas and true archival inks. 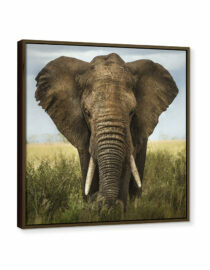 Decorate your home or print a canvas for a cherished friend or loved one. Then celebrate with us as 10% of your order is donated to a good cause! Tip: easily change the Orientation (landscape or portrait), Print Size (up to 30″ x 40″), and Layout (collage or single photo) right in the designer. 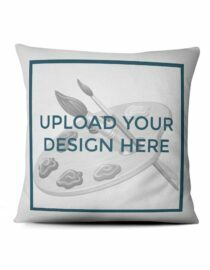 Be the envy of every guest you have in your home or office space by showing off your decorating savvy and love for philanthropy. Our solid faced canvas wraps will never dip or sag as they’re designed to stay strong through all of life’s adventures. 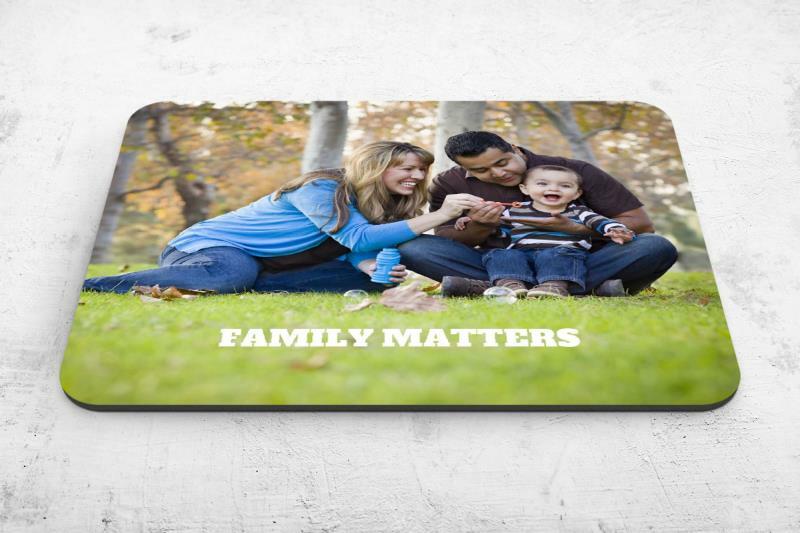 All of our canvas is museum grade certified and your photos color will last a lifetime. 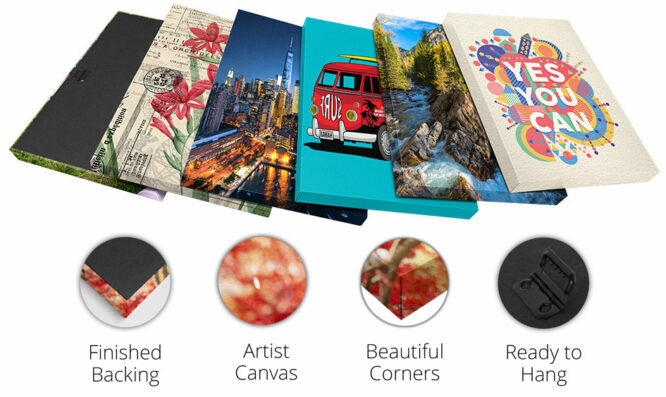 Our canvas is certified artist grade material and is OBA free to ensure quality and accuracy. Sagging pants may have been a trend once upon a time, cough 90’s, but sagging canvases have never been cool! 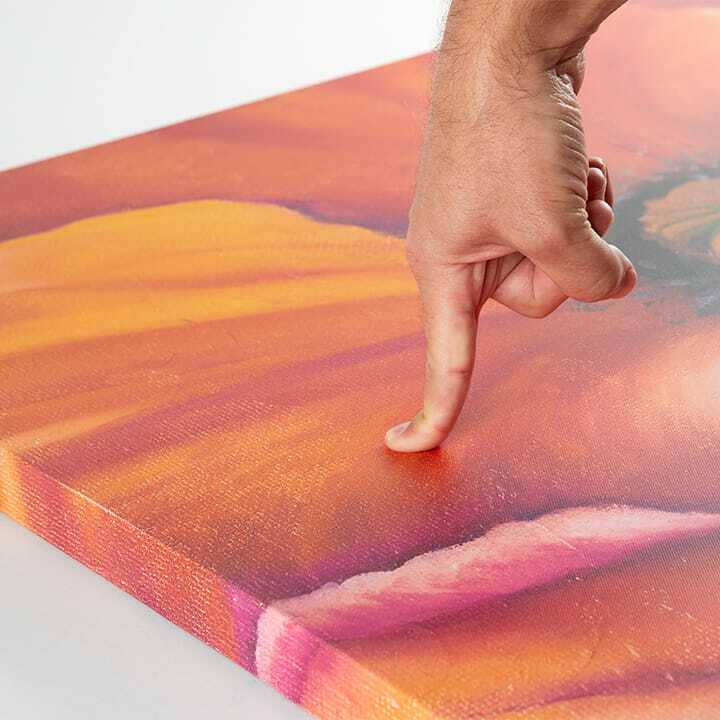 Our canvas is made to last, so much so that you can even push on the front and it won’t ever warp or sag. Now, we don’t recommend wrestling, playing frisbee, or using it as a sled, but you can rest easy knowing it won’t give under (reasonable) pressure. That’s because our Solid-Faced Canvas Wrap is the only canvas specially mounted on hard, high-density wood fiberboard. GoodPrints.com was inspired by the idea of giving back — so that’s what we do. We give back 10% of EVERY sale to some of the world’s best nonprofit organizations. Every company has the opportunity to do something good, and we choose to do so through the beauty of printing artwork and photographs. 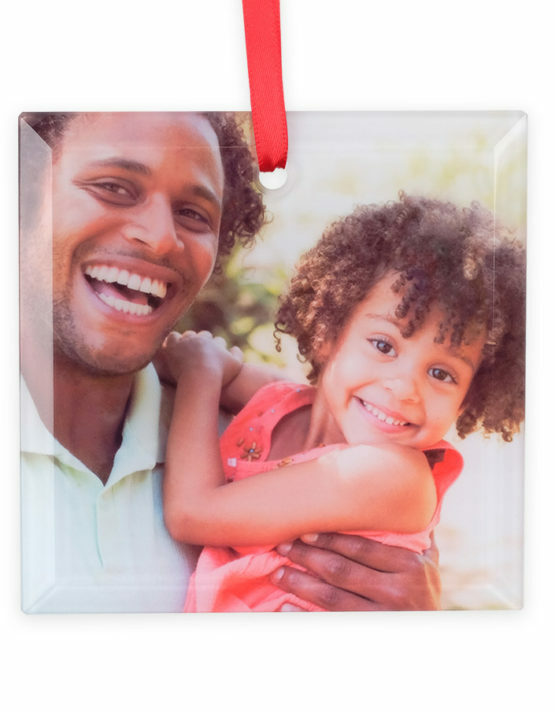 Smartphone Photos: for best quality, only print on sizes 16×20 or smaller. 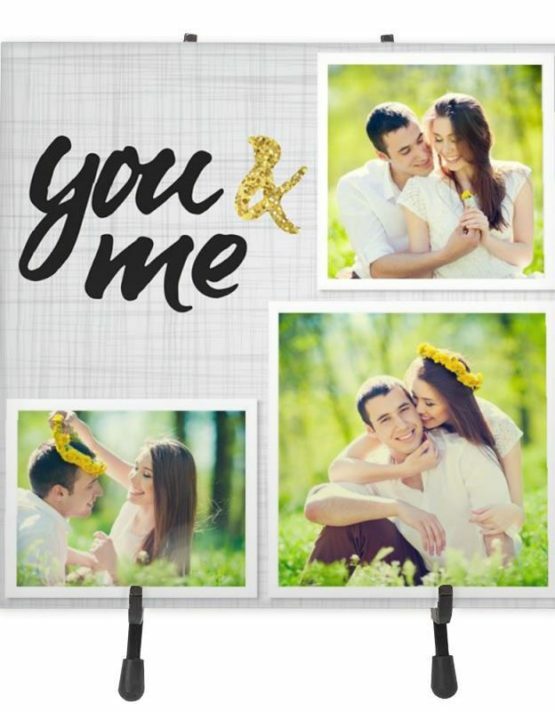 Professional Photos: ask your photographer to give you the largest file possible. 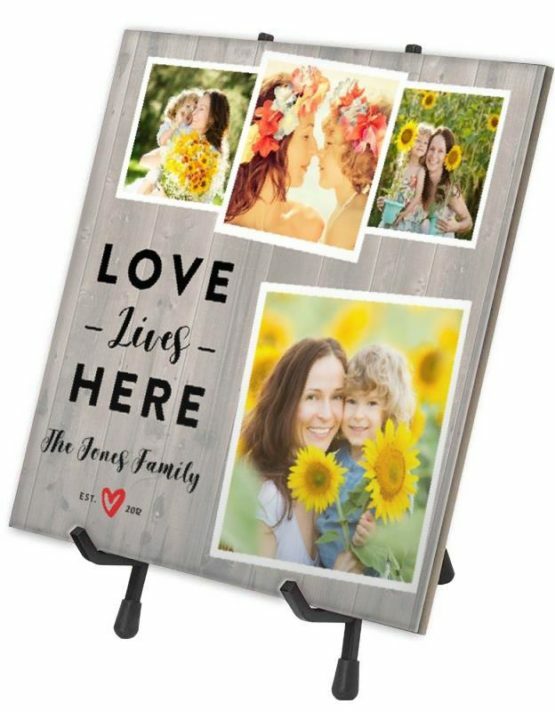 The rule here is the bigger the better, that way if you want one of our largest canvas sizes, the photograph can produce all the big beauty your heart desires. Social Media Photos (Facebook & Instagram): there are over 400 million photos uploaded to Facebook and Instagram each day! 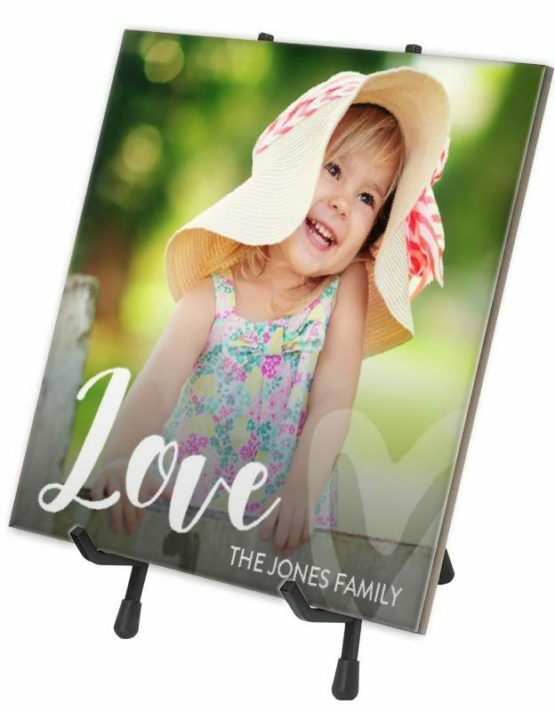 The image quality is automatically reduced by these companies so we suggest you print on anything 8×10 or smaller if you plan on using an image from your social media. However, it’s always best to find the original photo before it was uploaded. We are dreamers and givers, innovators and makers. We are individuals with big hearts and minds who believe each and every person can make a difference in our world. We care deeply about people, animals, and the earth. We want you to be happy, spread joy, and celebrate life. We are inspiring a new generation of buyers who always choose a business because of what it stands for. Need help? start a chat to send us your photo or tell us about a nonprofit you love. 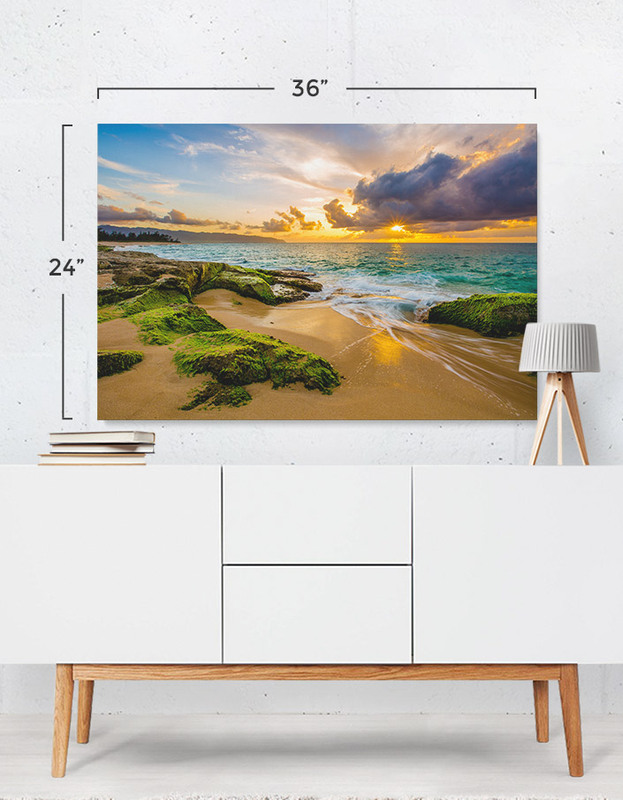 Not only will recommend the best size for your canvas print, but we’ll also create your project for you, at no additional cost. 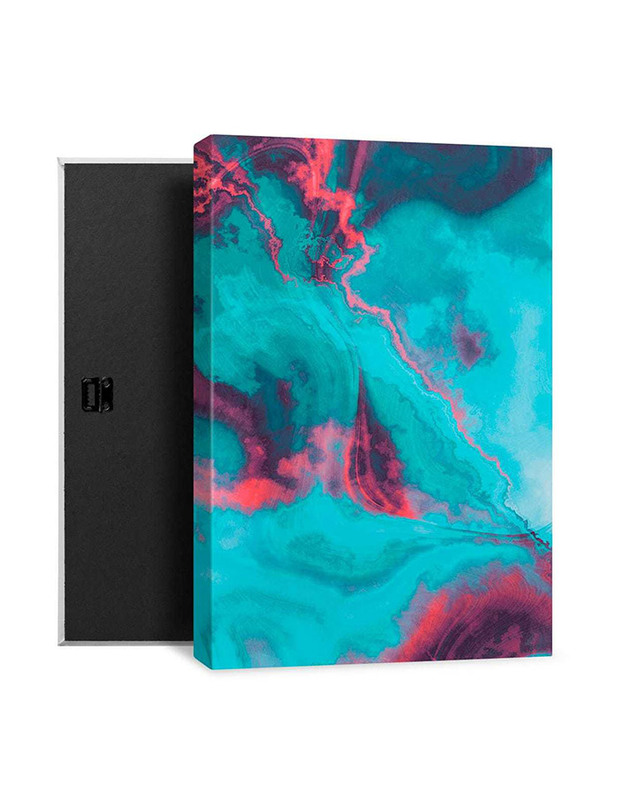 These canvas prints are stunning! I tried cheaper canvas before and there is no comparison, I’m thrilled with my piece! I ordered 3 12×12 canvas prints for our entry way and I’m in love with the quality. My canvas arrived sooner than expected and I love that 10% of my order was donated to Kids Center! My two canvases arrived today and I have to say, the quality is excellent. I ordered two 12×12’s and a 12×36 that turned out beautifully. Nice job GoodPrints I’ll be back for more! !